The role that diet plays in bodybuilding cannot be overemphasized. 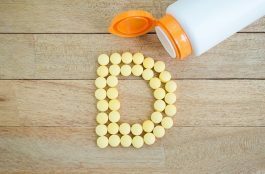 Maintaining a regular flow of nutrients keeps your blood sugar stable, fuels your muscles, prevents the breakdown of lean tissue and is the determining factor for muscle growth. In addition to ensuring the food you consume is of good quality, it is important to eat regularly. Forget about “three square meals a day” – if you want to get the most out of your weight training, break the traditional thrice-daily meals into six, or more, smaller portions, eaten every two or three hours. By doing so, your muscles (which are more metabolically active than body fat) will be constantly fed, allowing them to be sustained, and to grow. A constant supply of protein ensures the scales are always tipped in favour of muscle protein synthesis. A lack of protein can cause muscle protein breakdown. Of course, eating three large nutrient rich meals per day in conjunction with a progressive weight training program will produce results, but it’s not optimal. It’s not just what works that we’re interested in, it’s what works best that’s important. Remember, protein (the crucial macronutrient for muscle growth) isn’t stored as fuel the way carbohydrates are. The amino acids in protein are found in the blood in limited amounts. Anabolism – a state of muscle development – requires that amino acids are consumed regularly. The “burst” of aminos that occurs when protein-rich foods are eaten increase protein synthesis and decrease catabolism. Catabolism is a state in which the body burns its own protein reserves (muscle protein – not cool) in the absence of dietary protein. This is exactly what you don’t want happening. A catabolic state can be prevented by eating roughly 20 to 40 grams of protein every two to three hours. Furthermore, frequent eating helps prevent insulin spikes, decreases digestive stress and increases metabolism, the result of which is better body composition. 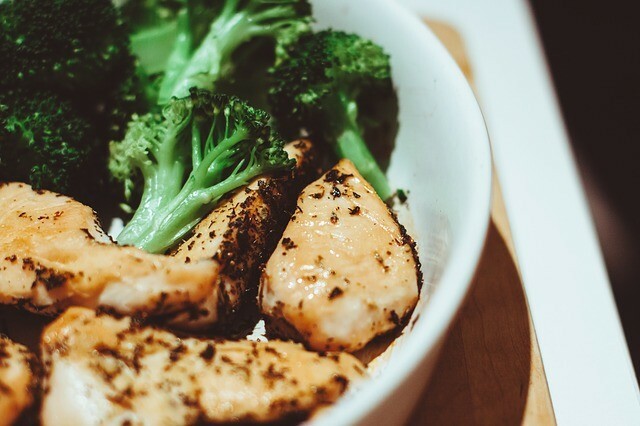 How quickly protein is digested affects the balance between protein synthesis and breakdown, which is a deciding factor in whether or not you gain muscle. Protein is generally defined as “slow” or “fast” digesting. To maximize the results of regular protein consumption, the right kind must be eaten under the right circumstance. Let me preface this by saying that these are general rules, and individual results may vary. Adjust these suggestions according to your own response. When you wake up, it will be after having not eaten for up to, or more than, eight hours. Even after this length of time, your body will have dipped into its own stored nutrients. Since the body can store carbohydrates as glycogen – its preferred fuel – you don’t have to worry about having lost significant muscle while you slept. A great breakfast choice is a fast-digesting protein, such as whey, or a hydrolysate (a “predigested” form of protein in which the bonds between the amino acids have been broken during the manufacturing process). Such proteins send a blast of aminos which peaks in your bloodstream a mere forty minutes after consumption. 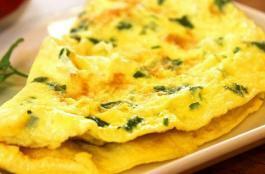 Finish your breakfast up with some solid foods – eggs, chicken or meat, and good quality carbohydrates. Though protein powder alone should not be considered a meal, it is a viable option to supplement with it if you can’t manage eating nutrient-dense “whole food” every few hours. In the event that you intend to train in an hour’s time or less, a whey/carbohydrate drink, supplemented with BCAAs (branched chain amino acids) is recommended – it can increase the amino acids and glucose that go into the muscles. BCAAs further promote muscle growth and prevent breakdown during training. Remember, protein intake is necessary during the day, but it is never more important than after intense training. Providing the body with nutrients post-exertion allows it to recover and prepare for more physical activity. 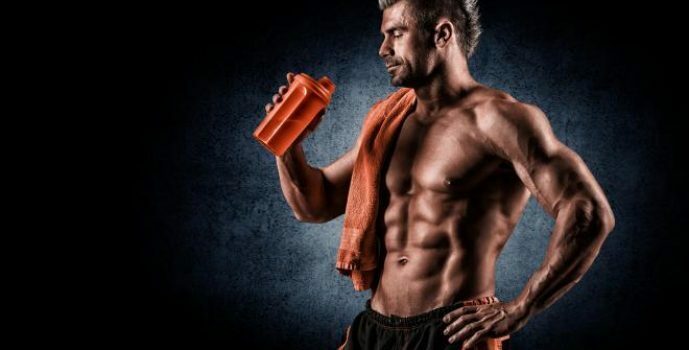 Just like before a workout, a fast-digesting protein, combined with carbohydrates, and the addition of creatine, is an excellent choice to keep the body in an anabolic state. There’s a lot of noise about why you shouldn’t eat before bed – the main reason being the risk of storing calories as body fat. 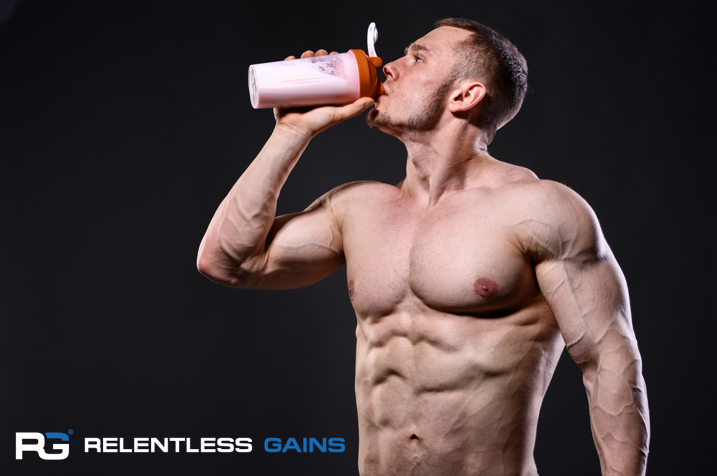 However, for the sake of accelerating recovery and retaining your hard-earned muscle, another shot of protein – this time, ensure it also contains a slow-digesting form such as casein powder – is the best way to prevent your body from consuming its own nutrient reserves and keeps your muscle growing through the night.